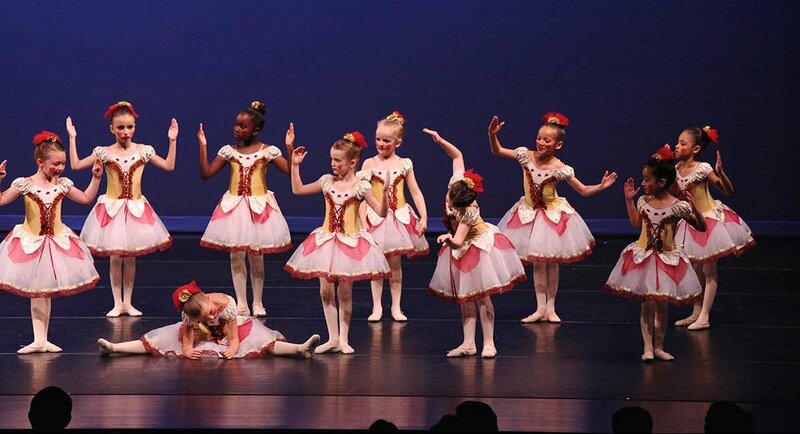 Students ages six and up are placed in the general division if they are seeking dance training as a fun and casual experience. Classes are taught by professional faculty members who understand and appreciate every child’s desire to take dance in a recreational environment. Our goal is to provide the best technique training to General Division students. This Division is structured for the student to not only sharpen their skills in both dance and musicality, but to have fun, and learn to love dance as a way of self expression. Students in the General Division study ballet technique through a carefully derived curriculum that includes barre, center, stretch, and strengthening exercises. Our approach to this level is one of self expression, imagination, and hands on attention to detail. The General Division classes are for those who desire a limited time commitment.